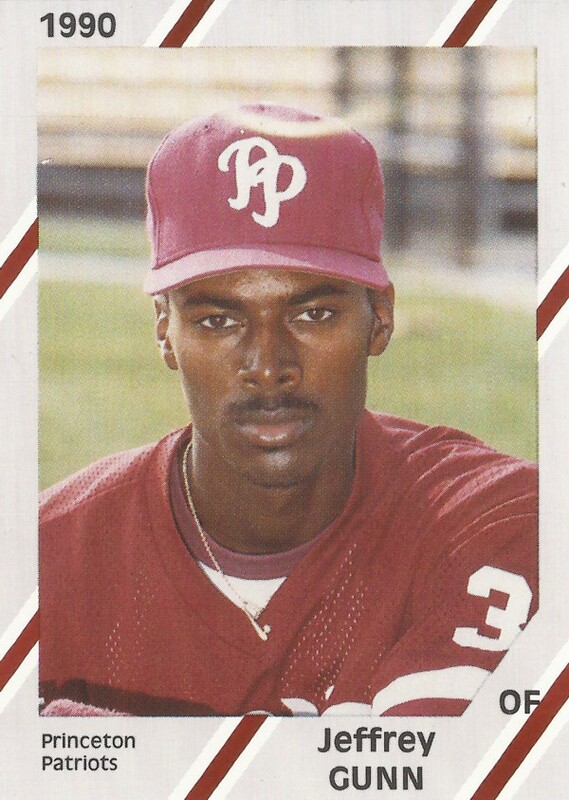 Jeffrey Gunn's Princeton Patriots earned the win in this July 1990 game and Gunn did his part to supply offense, according to The Bluefield Daily Telegraph. Gunn recorded two of the team's seven hits and drove in a run as Princeton beat Johnson City by a score of 3-1, The Daily Telegraph wrote. Gunn, however, couldn't provide enough offense for a long professional career. Gunn played just that single season as a pro. Gunn's career started and ended that year in 1990, taken by the Phillies in the 45th round of the draft out of Grambling State University. He's also credited as Jeff Gunn. Gunn grew up in the St. Louis area and attended Beaumont High School. He helped the squad to the district title in 1986. The opposing pitcher challenged him in a key spot in the title game, though, and he struck out. After heading off to Grambling, Gunn returned home to play for local summer league team Maritz in 1989. The St. Louis Post-Dispatch pegged Gunn as one of the team's offensive keys. With the Phillies, Gunn played at rookie Princeton. He got into 37 games, knocked in six and hit .154, marking the extent of his career.